Power supplies have been updated with new components, and are no longer blue. 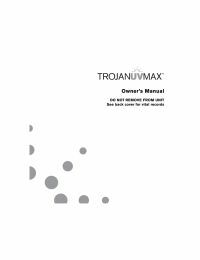 The Trojan UVMax 650716-012 is replacement power supply kit (also called a controller) that is used to replace the power supply of a 1994-2008 Trojan UVMax system (650378). 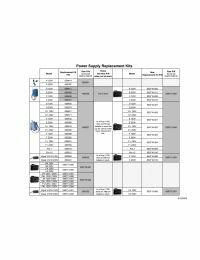 The 650716-012 is a member of the company's line of replacement power supply kits/controllers and is used specifically for the Trojan UVMax C system. The 650716-012 controller operates at 230V weighs 0.9 kilograms. 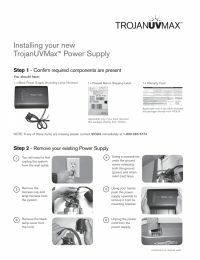 The Trojan UVMax 650716-012 plugs into a wall outlet and acts as a transformer - taking the native voltage and amperage and converting it to the proper voltage and amperage for the UV lamp. It also provides valuable information to the UV system operator in the way of a digital readout, making it easy for you to determine UV purification levels and the need to replace the controller again.